Harris-Stowe State University makes every possible effort to help each student receive the maximum amount of financial assistance for which he or she is eligible. The Office of Financial Assistance (HGA Room 004) also administrates various awards and scholarships from the University Board of Regents, alumni, faculty, community organizations, foundations, businesses, corporations and other friends and supporters of the University. 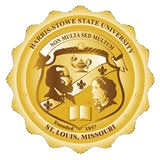 Harris-Stowe State University participates in a variety of federal and state financial assistance programs, including the Federal Pell Grant Program, the Federal Supplemental Educational Opportunity Grant Program (FSEOG), the Missouri Access State Grant, the Federal Work Study Program (FWSP) and the Federal Direct Stafford Loan Program. There are also other state, local and community-funded programs, which are a part of the University’s financial assistance options. Harris-Stowe also has a University Employment Program that is funded entirely by the University. Note: Scholarships are available to entering students. The eligibility requirements for these scholarships may be obtained in the University’s Office of Admissions. In addition, a limited number of Presidential Tuition Waivers may be applied for through MYHSSU on the MY DASHBOARD tab. In order for the student to receive financial assistance, the student must complete the Free Application for Federal Student Aid (FAFSA). The FAFSA form can be completed at www.fafsa.ed.gov. Students are urged to apply and complete their applications for state grants and scholarship programs PRIOR to the February 1st deadline. As a result of completing the Free Application for Federal Student Aid, a student will receive a Student Aid Report (SAR). If corrections are necessary, students can log into the FAFSA again and make any necessary changes. However, students may also submit the required changes to the Office of Financial Assistance. Corrections normally require three to 5 business days to be processed. Students must complete a FAFSA each academic year to receive financial assistance. If the student is selected for verification by the Department of Education, he or she must submit the appropriate income verification form. This form can be found on our website or through the online portal. It can also be e-mailed to you upon request. In addition, the student will also need signed copies of appropriate federal tax return transcripts from the IRS. The Data Release Tool (DRT) may also be used to extract IRS data in the FAFSA. If the DRT is used, federal tax return transcripts will NOT be needed. If the information submitted does not correspond with the information on the Student Aid Report, the student’s application will require reprocessing. Such processing requires approximately three to 5 business days. Once the university receives the results of the student’s FAFSA, the aid will be processed and the student will be sent an award letter. This document will indicate the exact dollar amount of the awarded funds. Students must complete a Student Loan Request Form to receive a federal student loan. Note: The student may be required, at any time, to submit to the University Office of Financial Assistance, additional documentation based on individual circumstances. Failure to submit such documents may delay the processing of the student’s request for financial assistance or financial assistance may be cancelled. The student must have been admitted to Harris-Stowe as a degree-seeking student or as one seeking initial teacher certification, in order to be eligible for financial assistance. Note: A conviction of drug distribution or possession may make the student ineligible for federal assistance programs. Federal financial assistance is awarded based upon financial need, as defined by the U.S. Congress. The information on his or her renewal application or FAFSA form is used in a formula that has been established by the U.S. Congress, to determine the student’s Expected Family Contribution (EFC). The EFC is an amount which the student and his or her family are expected to pay toward the student’s education. This EFC is used to determine the student’s eligibility for the Federal Pell Grant. Additionally, the Cost of Attendance (COA) minus the EFC equals the student’s financial need. The student’s COA includes the cost of tuition, fees, housing, food allowance, textbooks, supplies, transportation, childcare, costs related to a disability and miscellaneous expenses. Once the financial need is calculated, the student is awarded and mailed a Financial Aid Award Letter by the Harris-Stowe Office of Financial Assistance. Students, who receive outside aid—including loans, grants or scholarships from private individuals, groups or government agencies—must report the sources and amounts of such financial assistance. Federal regulations require the University to make adjustments in a student’s financial aid, based upon such assistance. Students who knowingly withhold such information from the University’s Office of Financial Assistance are subject to the termination of their financial aid award(s) and will be required to repay any over-award to the federal government. There are two categories of students for financial aid purposes: Independent Students and Dependent Students. If the student does not meet any of the criteria listed above, he or she is a dependent student. If the student is requesting independent status on any criterion, he or she should consult the Office of Financial Assistance to determine the appropriate procedure that must be taken. Additional documentation may be requested to document dependency status. Students having special circumstances that might affect their eligibility for financial aid should consult the University’s Office of Financial Assistance for the appropriate procedure that must be taken. This federally funded program is the foundation of a student’s financial aid package and must be awarded BEFORE other kinds of financial assistance can be awarded. The maximum amount of a Pell Grant is available only to students who are enrolled in 12 or more credit hours during each semester of the academic year. Students who are enrolled in less than 12 credit hours each semester of the academic year are eligible for reduced amounts of Federal Pell Grants. Moreover, only undergraduate students are eligible for the Pell Grant. The amount of Federal Pell Grant funds a student may receive over his or her lifetime is limited by federal law to be the equivalent of six years of Pell Grant funding. Since the maximum amount of Pell Grant funding a student can receive each year is equal to 100%, the six-year equivalent is 600%. How is my Pell Grant Lifetime Eligibility Used (LEU) calculated? Scheduled Award: The maximum amount of Pell Grant funding you can receive is calculated for an “award year.” An award year is a period from July 1st of one calendar year to June 30th of the next calendar year. Your “scheduled award” is partially determined by using your expected family contribution (EFC), calculated from the information you (and your family) provided when you filed your FAFSA. Your scheduled award is the maximum amount you would be able to receive for the award year if you were enrolled full- time for the full school year. Your scheduled award represents 100% of your Pell Grant eligibility for that award year. Percent Used: To determine how much of the maximum six years (600%) of Pell Grant you have used each year, the Department of Education compares the actual amount you received for the award year with your scheduled award amount for that award year. If you receive the full amount of your scheduled award, you will have used 100%. Some students do not receive their entire scheduled award for an award year. There are a number of reasons for this, the most common of which are that the student was not enrolled for the full year or that the student was not enrolled full-time, or both. Note: If a student’s LEU equals or exceeds 600%, the student may no longer receive Pell Grant funding. Similarly, a student whose LEU is greater than 500%, but less than 600%, while eligible for a Pell Grant for the next award year, will not be able to receive a full scheduled award. This program is also funded by the federal government and is available to students who are Pell Grant eligible. Funds for this program are limited; thus, awards are made by application receipt date and financial need. Only undergraduate students are eligible for the FSEOG. There are two types of federal Stafford loans: subsidized and unsubsidized. A subsidized federal Stafford loan is a need-based loan in which the federal government pays the interest while the student is in school or in deferment. Under the unsubsidized federal Stafford Loan, the student is responsible for the interest on the loan during both in-school and deferment periods. This loan program enables eligible students to borrow from their freshman to senior year. It carries a fixed interest rate, not to exceed 8.25%. Repayment of the principal begins six months after the student graduates, leaves school, or falls below half-time enrollment (6 credit hours). No interest accrues, nor are payments required to be made on the principal while the student is enrolled at an eligible institution, for at least half-time status. The Department of Education charges a small origination fee. These fees are deducted from the total amount of the loan and may change each year. The unsubsidized federal Direct Stafford Loan has the same interest rate and repayment terms as the subsidized federal Direct Stafford loan, except interest does accrues over the life of the loan. The student has the choice of paying the interest while they are in school or by having the interest accrue and be added (capitalized) to the principal of the loan. Students should allow five weeks for the application and processing of their federal loan requests. Although loan limits are set by the federal government, actual loan eligibility is determined by the Office of Financial Assistance and may be lower than the amount requested by a student. Failure to complete these steps will result in your loan being removed and you will be responsible for paying any charges on your account “out of pocket”. Under the federal Parent Loan for undergraduate students, parents may borrow for each dependent child in order for that child to pursue his or her undergraduate studies. The re-payment period on the PLUS Loan begins on the day the loan has been fully disbursed. The first payment of the principal and interest is to be made within 60 days of the loan disbursement. The interest rate is fixed and has a 9% cap. The Department of Education charges an origination fee that may change each year. These fees are deducted from the total amount of the loan. You will need to have your Federal Student Aid (FSA) ID to complete this process. Complete PLUS Request Process. If the Parent PLUS is denied, please let the Office of Financial Assistance (HGA Room 004) knows so that we can move forward with other loans the student may be eligible to receive. If the loan is approved, the parent will need to sign the PLUS Master Promissory Note and the student will need to bring the confirmation page to the Office of Financial Assistance so that the Parent PLUS Loan can be added to the Financial Aid Awards. Failure to complete all of the listed steps will result in the PLUS loan not being processed or the student will be responsible to pay “out of pocket”. Note: Students who have a four-year degree and are attending Harris-Stowe State University for the purpose of obtaining teacher certification or recertification or another degree may be eligible for the Direct Stafford Loan. The Federal Work-Study Program provides part-time employment for degree-seeking students who need help with the cost of their higher education. Funds are provided by the federal government and also by the University. Generally, students work approximately 10 hours per week during each semester. If funds are available, work-study employment during the University’s summer session is possible. The hourly rate of pay is determined annually and is based on the minimum wage. Students must have a completed FAFSA on file and must be enrolled in at least six credit hours. Students work for a two week period and receive pay for that period, two weeks later. Time sheets signed by both the supervisor and the employee are submitted to the Office of Financial Assistance by the supervisor. FWS students must maintain satisfactory academic progress. If a student is terminated from employment, he or she may appeal that termination to the Office of Financial Assistance in (HGA Room 004). Only degree-seeking students are eligible for federal work study. Students who have a disability that might prevent them from full-time employment may be eligible to receive benefits from the State of Missouri Vocational Rehabilitation Service. These students are strongly encouraged to contact their local Vocational Rehabilitation Office. Veterans Benefits Veterans who are eligible to receive monthly benefits, or the widows and children of deceased veterans interested in applying for benefits, should contact the University’s Veterans Affairs Coordinator, (HGA Room 004) 340-3504 or the local Veterans Administration Regional Office, P.O. Box 66830, St. Louis, MO 63166, for more information. Veterans who are eligible to receive monthly benefits, or the widows and children of deceased veterans interested in applying for benefits, should contact the University’s Veterans Affairs Coordinator, (HGA Room 004) 340-3504 or the local Veterans Administration Regional Office, P.O. Box 66830, St. Louis, MO 63166, for more information. The Higher Education Amendments of 1998 established the Return of Title IV aid provisions. This is where financial aid that is already disbursed may be returned to the Department of Education due to a complete withdrawal from all classes. A Return of Title IV Funds calculation must be performed for Title IV students who completely withdraw from a semester (payment period). Official withdrawal occurs when the student asks the HSSU Office of the Registrar, in person, to be withdrawn from all classes or, when the student is administratively withdrawn by their instructor. If, due to extenuating circumstances, the student cannot appear at the office in person, the student can withdraw in writing, effective on the date of the postmark on the envelope. HSSU’s share of unearned aid is the lesser of the total amount of unearned aid or an amount equal to the institutional charges multiplied by the percentage of aid unearned. The student’s responsibility is equal to the total amount of unearned aid minus the school’s responsibility. If the student’s portion of the unearned aid is a loan, no further action is required other than notification to the holder of the loan of the student’s withdrawal date. The terms and conditions of the loan satisfy the repayment. A student who owes an overpayment will retain eligibility for Title IV program funds for 45 days from the earlier of the date the institution sends a notification to the student of the overpayment or the date the institution was required to notify the student of the overpayment. During the 45 days, the student may take action that can continue eligibility for Title IV funds. The student may repay the overpayment in full to the institution, the student may sign a repayment agreement with the institution or the student may sign a repayment agreement with the Department of Education. If a student does not take one of these three actions during the 45-day period, the student becomes ineligible for Title IV funds. Subsequently, HSSU notifies the National Student Loan Data System (NSLDS) of the overpayment. Academic transcripts will be withheld and the student not be allowed to register at HSSU until the overpayment is paid. HSSU must return the unearned aid, for which the school is responsible, to the Title IV programs, in the order specified by law. Loan amounts are returned in accordance with the terms of the promissory note. Harris-Stowe State University students have the opportunity to participate in the ROTC Battalions at St. Louis University (Air Force) and Washington University (Army). Air Force ROTC is a leadership training program that prepares young men and women to become officers in the United States Air Force while earning a bachelor’s degree at HSSU. Detachment 207 is located at St. Louis University and trains cadets from 9 area colleges and universities. In addition to attending regular college courses at Harris-Stowe, students will complete Air Force ROTC courses and have hands-on leadership opportunities. Taught by a world-class military faculty and supplemented by distinguished speakers, Air Force ROTC classes bring policy and history to life. Classes take place in university classrooms at Parks College, which is equipped with everything needed for learning in a comfortable and positive atmosphere. Computers and other helpful facilities are located at the Air Force ROTC detachment as well. Air Force ROTC offers a variety of full and partial scholarships to cover tuition and most lab fees. In addition, students receive an annual textbook allowance and a monthly stipend. For more information, contact Air Force ROTC at (314) 977-8227 or afrotc@slu.edu. The U.S. Army provides two, three, and four-year scholarships to selected high school and college students. These scholarships provide full tuition and fees, an allowance for books, supplies, and up to $500 per school month. The scholarships are available on a competitive basis to all students, regardless of present enrollment in U.S. Army ROTC. For more information, contact Gateway Army ROTC at 314-935-5521 or email lee.e.rodriguez@wustl.edu. Harris-Stowe State University students are invited to compete for Army, Air Force and Naval ROTC scholarships and to participate in the ROTC battalions at St. Louis University (Air Force), Washington University (Army), and Southern Illinois University-Edwardsville (Navy and Air Force). There are a variety of programs (two and four-year, paid and unpaid, prior and non-prior service, etc. ), and they change from time to time, depending upon the needs of the services. The University Army ROTC liaison is located in HGA Room 115. Students interested in Army ROTC may contact the University liaison at (314) 340-3518. Students interested in Air Force ROTC may contact the University Air Force liaison at (314) 977-8311 or (314) 977-8227. Military/Aerospace Science courses may be included in students’ GPAs and course load, but do not count toward graduation requirements. ROTC activities are considered extracurricular. In general, ROTC cadets must be full-time students, physically fit, no older than 30 years old by graduation, and with clean criminal records. This is a need-based program. Eligibility is determined by the student’s expected family contribution (EFC) as calculated through the Free Application for Federal Student Aid (FAFSA). There is no paper Access Missouri application to fill out. Complete your FAFSA by February 1st, each year. Awards are not available during summer sessions. The Access Missouri award may be renewed annually until you have obtained a bachelor’s degree. This program is supported entirely by University funds and provides employment for students who may not qualify for the Federal Work-Study Program, but who possess the skills required by the University. The salary and the number of hours of employment per week must fit the same guidelines as those established for the FWS Program. You can sign up for this program in the University’s Office of Financial Assistance. Preference is given to those students who are enrolled in at least 12 credit hours. Time sheets are processed on the same schedule and under the same procedures as the FWS Program. Scholarships, awards and prizes are available based on academic achievement, athletic ability, musical talent and financial need. Some of these awards are made annually, based upon the availability of funds. The value of these awards ranges from $25 to full scholarships, which may cover tuition, books, fees and other costs. Detailed information, including the minimum requirements, the selection process and amounts may be obtained from the University’s Office of Financial Assistance. A limited number of scholarships are available to entering freshmen and transfer students. These students should consult an admissions officer regarding eligibility requirements. In certain cases, nonresidents (or their dependent children) who work in Missouri and pay Missouri income tax may be eligible to receive a credit against the nonresident tuition charge in an amount equal to the actual Missouri income tax paid for the previous calendar year. The remaining fee obligation, however, shall not be less than the amount of the resident fee. For additional information and application forms, please contact the University’s Office of Financial Assistance. The Metro Rate Award will be granted to qualified St. Clair County, Monroe County and Madison County, Illinois, residents who meet the requirements for either full-time or part-time enrollment at Harris-Stowe. This award is available to all students from the three counties and assists in covering a portion of the nonresident tuition cost. The Hornet Rate will be awarded to first-time full-time freshmen who are U.S. Citizens from Tennessee, Arkansas, Oklahoma, Nebraska, Illinois, and Kansas. Students that qualify for the Hornet rate will receive an award that will offset the out of state tuition charged and be equivalent to the in-state tuition. A student who qualifies for the Hornet Rate must be a full-time, meet the admissions requirements, and be a U.S. citizen. The Higher Education Act of 1965, as amended, and the final regulations set forth by the Department of Education in 34 CFR 668 require that institutions of higher education establish standards of satisfactory academic progress. A student who does not meet these standards is not eligible to receive federally funded financial aid. Harris-Stowe State University shall make these standards applicable to all federal and state programs for the purpose of maintaining a consistent and reasonable financial aid policy. This policy does not override any other policy that may have more stringent requirements for renewal set by the governing body for that award. Satisfactory academic progress is monitored for all students who apply for financial aid. Recipients will be reviewed at the end of each year. If the University determines that the student is NOT in good standing, then the student will be notified by email. A student is considered to be in “good standing” if they meet ALL three of the SAP requirements listed above. Suspension Suspension occurs when a student fails to meet the cumulative GPA and cumulative completion rate requirements. Students may regain good standing after they have completed enough courses to bring their cumulative GPA to at least 2.0 AND their cumulative completion rate to at least 66%. Students may submit a suspension appeal if documented extenuating circumstances contributed to their lack of academic progress. Contact the Office of Financial Assistance for more details. A student whose suspension appeal has been approved must enroll and successfully complete ONLY the courses found in their academic plan. Failure to follow the academic plan will return a student to suspension status and the student will not be able to submit another suspension appeal for the same extenuating circumstances. A student is considered on probation for the semester in which they obtained a Suspension Appeal approval. Probationary status lasts for only one term. At the end of the probationary term, a student must either earn the return of good standing or meet the requirements set forth in their academic plan in order to continue receiving financial aid for the following semester(s). Satisfactory academic progress requires that a student complete his/her program of study within 150% of the time frame allotted for that program. For example, a student who is pursuing a degree at HSSU and the degree program is 121 hours in length, can attempt 181 credit hours (150% of the program length) to complete the program. If the program cannot be completed within 150% of the program length (i.e. student attempts over 181 hours), then the student is placed on Time-Frame Suspension and is ineligible for additional financial aid at HSSU, for that degree program. Note: Students should be aware that changing degree programs may change a student’s time-frame status). Enrolling in courses outside a student’s degree program of study, as well as withdrawing, repeating and failing courses, results in accumulating hours greater than 100% of the student’s program length. Remedial courses and transfer courses that don’t count toward the student’s program of study are excluded from attempted hours when determining maximum time-frame status. As a proximity warning, students are sent a “time-frame notice” once they have attempted 130% of their program length. This is done for informational purposes only and will not prevent a student from receiving financial aid. Students should heed this warning and plan their enrollment to insure timely degree program completion. Students who are unable to complete their program of study within 150% of the program length are placed on “time-frame suspension.” Students on time- frame suspension are ineligible for federal, state and institutional financial aid. There is no appeal process for time-frame suspension. Courses graded with (A), (B), (C), (D), (CR), or (P) are considered completed. Courses graded with (AF), (I), (W), (PF), (NC), or (F) are not considered completed. A student on Academic Probation may be eligible for enrollment at the University, but may not be eligible to receive financial assistance. Transfer students will be evaluated on the course work completed and the GPA achieved at their prior institution(s) before financial aid is processed. A student who does not meet the policy at Harris-Stowe will be placed on a probationary semester requiring a cumulative completion rate, 66% of their attempted hours completed and a 2.0 CGPA, to remain eligible for subsequent semesters. In accordance with the U.S. Department of Veterans Affairs: Veterans Access, Choice, and Accountability Act of 2014, Section 702 (PL 113-146), Harris-Stowe State University shall offer in-state tuition and fees to qualified Veterans and dependents.